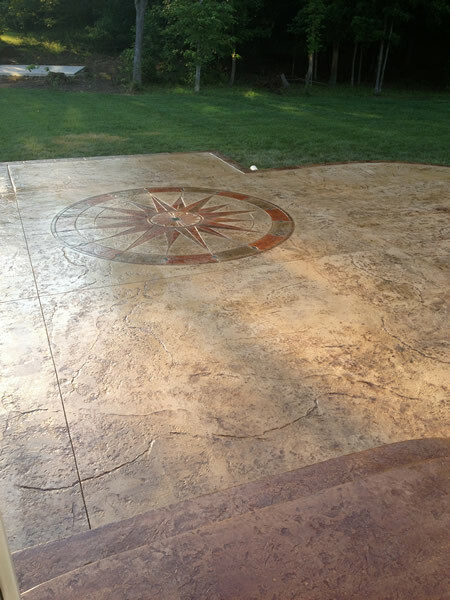 Stamped concrete creates amazing decorative interest as well as a safe non-slip surface. 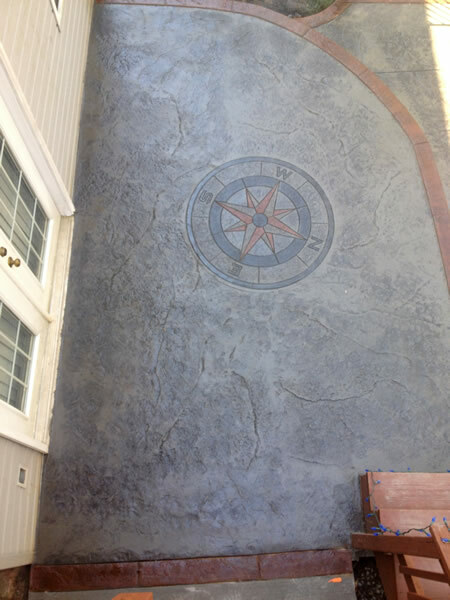 In addition; decorative stamped overlays are a beautiful alternative to plain, stained, or unsightly cracked concrete. We are custom designers and work with you to create a beautiful alternative to yesterday's ordinary asphalt that compliments your commercial or home environment. The advancements in concrete tools, stains, dyes, textures, and patterns have made concrete one the most versatile and durable materials on the market. 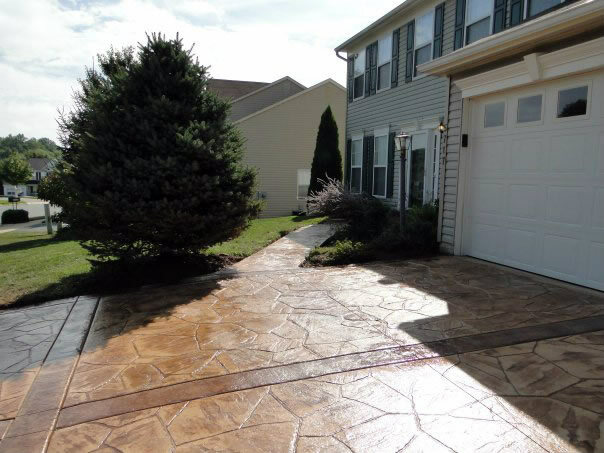 To find out more about stamped concrete, give us a call at 703-910-4611.